Traveling and commutes have become necessary in today’s society. From cars to trains to planes, there are many ways to get around. 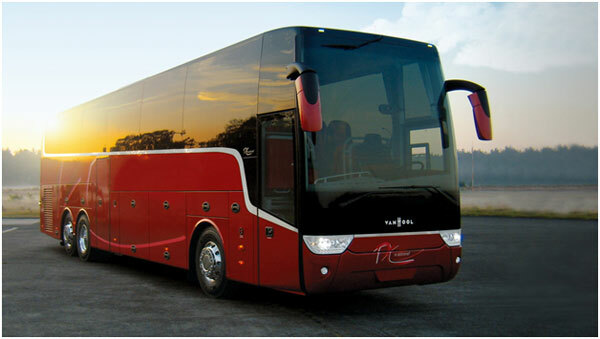 One of the most popular and convenient ways is traveling by bus. We see them everywhere, from rural to urban areas. Were they always this popular? Let’s learn the history of public bus transportation. In the 1600s, a man named Blaise Pascal launched the first ever public bus line right in his home country of France. These “buses” weren’t like those of today; they were horse-drawn carriages that carried about 7 or 8 passengers along different routes in the city. You would think that such a useful invention would be open to all the people of France, but no – it was only available for the nobility for five pennies. After a decade, even the nobility lost interest in public bus commute, and the idea was only picked up once again after a century and a half. Around 150 years after Pascal, France once again brought back the idea of public land transportation. At that time, the only mass-travel method was by ferry. 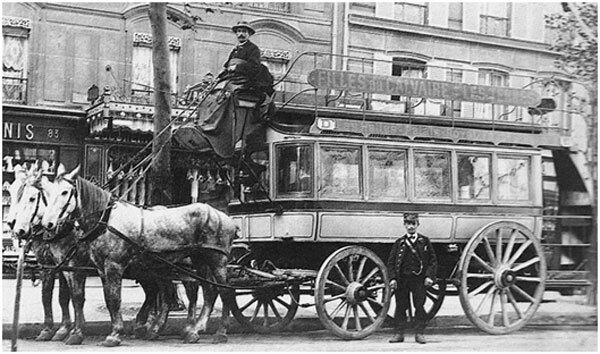 In 1826, the Omnibus came out as the first land-based public transportation. The Omnibus was similar to Blaise Pascal’s idea, but with more modern features. It was still a horse-drawn wagon, but the number of horses required to pull it depended on the size of the carriage. The Omnibus was open for all, from low-class to nobility. The idea of these type of vehicles became popular. It became so popular that New York City formed their own line of Omnibuses by 1828. In the following years, many other American and European cities also offered Omnibuses in their streets. Many liked the idea of the Omnibus, but they weren’t too fond of the uncomfortable ride. Still, many preferred this over walking. Many set out to find more ways for the Omnibus to be upgraded, which led to improvements in public bus transportation within the next few years. The horsecar, which was a wagon situated on rails and pulled by horses, started popping up in the United Kingdom in the 1830s. Railroad trails were laid on preexisting routes from the Omnibus. The wagon was grooved to fit on these rails, offering a much smoother ride than the Omnibuses. Since the horsecar was placed on rails, it was also easier for the horses to pull them, meaning more passengers could ride at once. These dropped the prices from 12 cents to 5, making rides more cost-friendly. As more people approved on riding the horsecars, more rails were laid out. After about 50 years, over 30,000 miles of street rails had been placed, with over 20,000 horsecars using them each day. Horses were absolutely necessary for the horsecars. Without them, even the name wouldn’t make sense. Horses, while serving a very beneficial purpose, also began having negative effects on the cities. Their manure littered each route the horsecar traveled on. They also could only work for 2 hours at a time, putting time restraints on rides. When an equine outbreak in 1872 killed thousands of horses, inventors knew they would have to find a more efficient way of city travel. Horses for traveling would soon become outdated, so this meant more improved ways of traveling needed to be found. With horses out of the equation, people began to think of the carriages traveling without a labor animal. 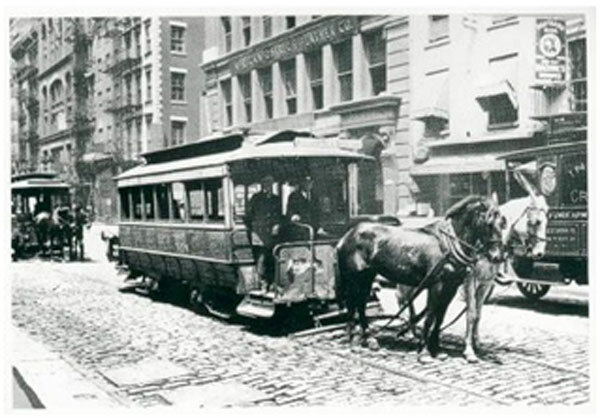 The innovators at the time would insert a moving cable between the rails for the horsecars and place a tram on top, eliminating the need for horses. To brake, pressure would be applied on the rails and the cable would be released. 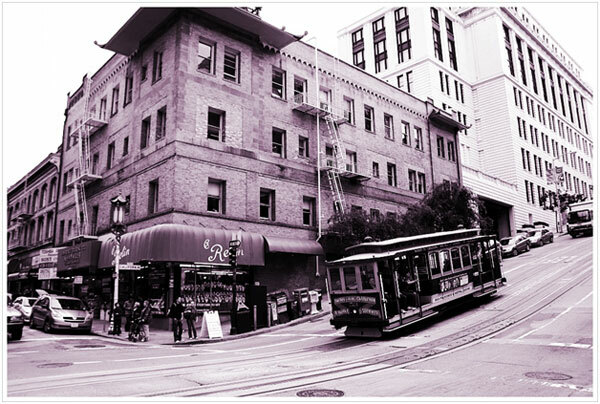 The cable car was created and first tested by Andrew Hallidie in the 1870s in San Francisco, California. San Fran was a prime place to test this new creation out because of its never-ending rolling hills. 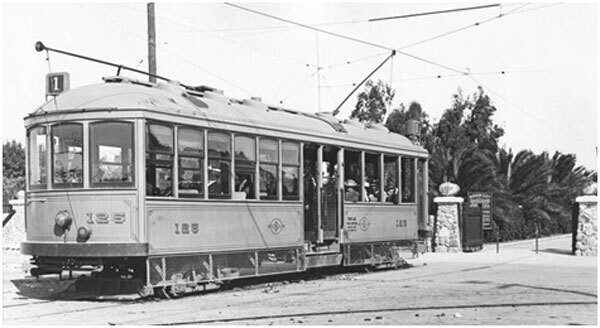 The streetcar was arguably one of the greatest innovations towards the end of the 1800s. Also known as the electric streetcar, these “buses” kept the idea of the cable car, but they were now powered by electricity. 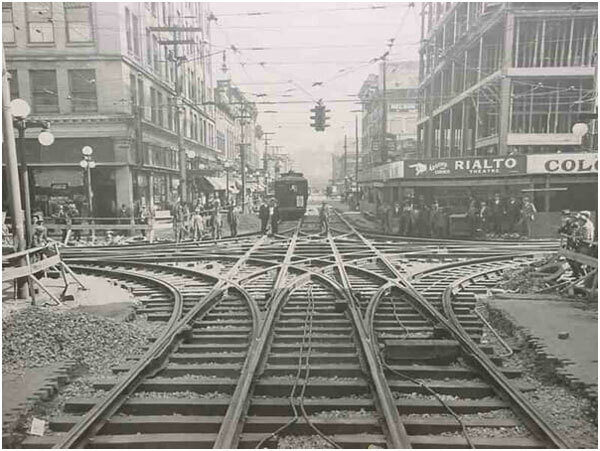 The streetcars were moved by electric power lines over the routes, and the wheels were made with metal acting as “grounding” so no one would get electrocuted. The electric current kept the buses moving at a fair pace, making this a very influential invention. Many major cities began using the streetcars, especially through their downtowns. Because of this, citizens who lived outside the city were able to commute into the city for work. This drastically increased the employment rates. Not only did the streetcars help the economy employment-wise, but it also increased the value of the land. If a streetcar ran its route near the property, it could be worth a lot more than before. Many high-scale businesses and shops took advantage of this and set up their sites near the tracks. This helped boost the city’s own development and economy. After a few decades, people began to stop using the streetcar for money limitations. This was at the time of the Great Depression, where many had little money to spend at all. Even after the World Wars, many streetcars were shut down due to lack of usage. Some exist today, mainly in Boston and Philadelphia. For the next century, public transport began to get better and better. City trains were put into use, more cars were produced, and buses also updated with increasing technology. 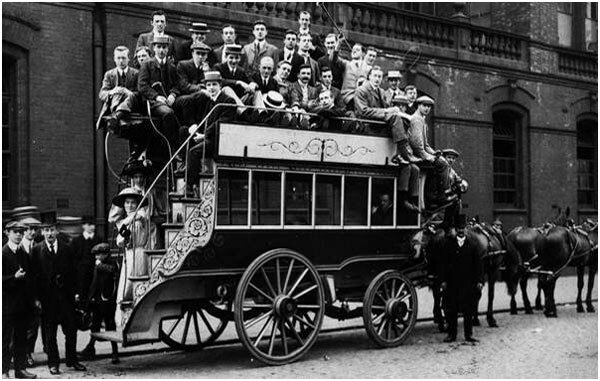 From horse-led carriages to modern day buses, public bus transit has come a long way. While cars are more popular today than buses, traveling by bus is very beneficial. Buses are more environment-friendly and fuel-efficient. Many without cars or in a crowded city still prefer to travel by bus to their work or school. The history of transportation tells us one thing: that technology has aided transportation and will continue to better it. A century ago, people were dreaming of today’s travel. A century from today, people will be looking back on outdated technology. Even today, we are beginning to see the future’s version of travel. Even today, we are starting to see what the future holds. Battery-powered, electric buses are beginning to come into production for major cities. Within the next decade, several major cities plan to incorporate these eco-friendly buses into their fleet and get rid of their major carbon footprints. One of the largest electric bus manufacturers is Proterra. They are working on long-lasting electric buses with different charging capabilities, so it can travel for longer. Charging stations on routes are also in development, so buses can charge in just a few minutes. This will prevent any issues in the timings of rides. Mini, self-driving buses are also being developed. The most adorable one, Olli, is going to make a huge impact on travel. 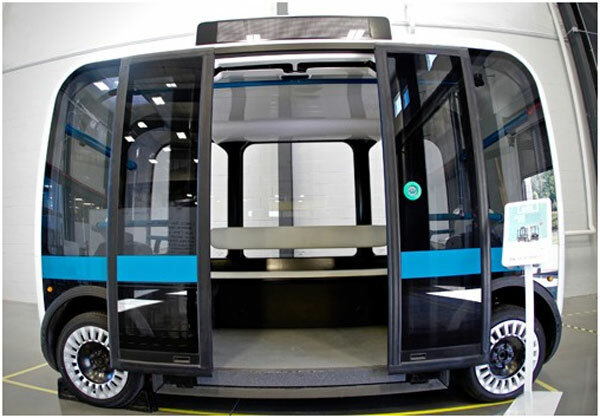 It is a self-driving, intelligent pod that uses IBM’s Watson technology to listen to the passenger’s directions. Within the next few years, we’ll begin to see a rise in travel technology such as these listed above. call ☎ 1-877-277-6678. We are sure you will be more than impressed with Prompt Charters.